The Department of Agriculture, Forestry and Fisheries (DAFF) briefed the Portfolio Committee on its second quarter performance and expenditure. The Minister and Deputy Minister were in attendance and participated in answering questions. It was noted that the Medium Term Strategic Framework from 2014 to 2019 was focusing on food security, sector transformation, job creation, and increasing agriculture's contribution to GDP. Sector transformation was directed mainly to the fisheries sector, by implementing the Small-scale Fisheries Policy, which would change the socio-economic profile of the sector, and promote and empower smallholder producers through targeted support measures to increase their competitive edge towards becoming sustainable producers. Job creation was aimed at achieving the NDP goal of creating 1 million new jobs by 2030. Contribution to GDP included strengthening the controls on animal disease, plant and pest controls and conclude trading opportunities. DAFF reported that it had achieved 69% of the set targets during the period under review. Full figures were also tabled of its financial performance with comparative percentages. 39 968 jobs had been created to date, compared to the MTSF target of 300 000 by 2019. These, however, excluded specific jobs in certain programmes. 664 564 households have benefited from food security and nutrition initiatives, 187 040 hectares of unutilised land is under production, against the MTSF target of 1 million by 2019, and 62 555 hectares of land are under rehabilitation, against the MTSF target of 152 500. Some of the highlights included 109 farmers being profiled to participate in the poultry scheme to improve productivity 32 light delivery vehicles being procured to implement the Primary Animal Health Care Programme, and deploying 124 veterinarian students to provide access to veterinary services in poor communities. Communication and media engagement plans had been drawn. Eight farms were certified to enable their market access and consideration was being given to products that could be exported to Kuwait. For this purpose, animal testing for PPR plague had been done and confirmed that there were no problems. Fishing rights registers for five sectors of fishing had been compiled and the final rights had been done for the netfish sector. applications. A progress report on the conditioning of brood-stock was compiled. The National Food Nutrition and Security Policy and the Fetsa Tlala Integrated Food Production sectoral policies were reviewed. Agricultural Research Council and universities had received over R1 million to direct to targeted research and development programmes. Matters not achieved included drawing up a progress report on implementation of the approved Risk-based Annual Plan, as the internal audit was about to undergo a mandatory external quality review process. Misconduct cases were not being dealt with as swiftly as hoped. There was not yet consultation on environmental impact assessments in Eastern Cape other than with SAPPI and it was not known whether it represented all interested stakeholders. There had been delays in the HR plans and lack of funding had hindered border-post training. It was explained that contributory factors to variance between targets and achievements included the fact that the quality assurance process mostly gave transversal indicators, and it was plagued by misalliance in the various reporting timeframes across government. One Member was particularly critical of the fishing rights allocations under the previous Minister, claiming that they were given only to MK military veterans who knew nothing about fishing, whilst another said that greater care was needed to ensure that they were given only to those who were not already drawing other salaries, particularly from government, such as teachers. Members asked what was being done, and where the budget was coming from, for drought relief, asked about a shrimp consignment from India that was apparently infected with cholera. They asked for deeper engagement on forestry issues. Members were also critical of the poor (some said non-existent) relationship between the DAFF and Department of Rural Development and Land Reform, asked for more detail on assistance to become exporters and what was being done to actively change land ownership patterns. The Ministry pointed out that one of the greatest challenges was DAFF's failure to communicate and publicise its achievements. The Ministry was actively encouraging that trees be planted by all with an interest in the land. Members wanted more information on Operation Phakisa and accuracy of information. They wanted to know why so few applications by the Vryground fishing community were approved, suggested bullying by white monopolies. The Minister responded that he would versify much of the information and forward it. The Department was provided with a list of questions requiring written response. 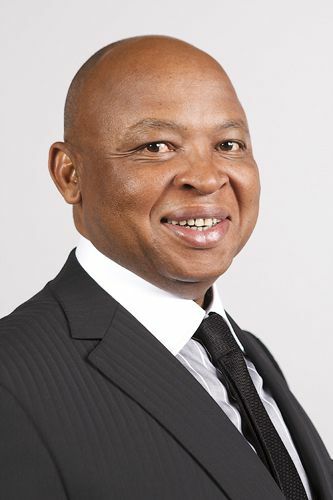 Mr Mike Mlengana, Director-General, DAFF, took the Committee through the 2014/19 MTSF focus, performance highlights against the MTSF, performance highlights against Quarter 2 targets, and non-achievements, in the second quarter of 2016/17. The 2014/19 MTSF has four focus areas: food security, sector transformation, job creation, and increasing agriculture contribution to GDP. Food security aims to ensure that over 12 million citizens who are vulnerable to hunger and are food insecure have sufficient access to safe and nutritious food. Sector transformation aims to transform the fisheries sector by implementing the Small-scale Fisheries Policy, which would change the socio-economic profile of the sector, and to promote and empower smallholder producers through targeted support measures to increase their competitive edge towards becoming sustainable producers. Job creation is aimed at achieving the NDP goal of creating 1 million new jobs by 2030. The contribution of agriculture to GDP should strengthen animal disease and plant pest control capabilities and surveillance measures, enhance exports and trade, implement the Agriculture Policy Action Plan (APAP), and conclude trade opportunities with other emerging economies and accelerate trade on the African continent. He noted that 39 968 jobs have been created to date, compared to the MTSF target of 300 000 by 2019, but these exclude jobs with the programmes of CASP, ILIMA/LETSEMA and MAFISA. 664 564 households have benefited from food security and nutrition initiatives against the MTSF target of 1.6 million households. 187 040 hectares of unutilised land is under production, against the MTSF target of 1 million by 2019, while 62 555 hectares of land are under rehabilitation, against the MTSF target of 152 500. He described the performance highlights against Quarter 2 targets. The Risk Management Committee has approved and implemented the risk management implementation plan; the fraud register has been developed for detailing approaches that the Department would undertake to prevent fraud; and the Human Resources Plan was approved and implemented as part of compliance with Department of Public Service and Administration (DPSA) requirements. The National Food Nutrition and Security Policy and the Fetsa Tlala Integrated Food Production sectoral policies were reviewed for alignment to key strategic priorities and protocols. A total of R1 031 000 was disbursed to Agricultural Research Council (ARC) and universities for targeted research and development (R&D) programmes. That figure was broken down, with R691 000 for ARC and R300 040 for universities. The communication strategy had been aligned to the Medium Term Strategic Framework. Media plans had been implemented for key events such as Female Entrepreneur awards. Eight farms were certified through South Africa Good Agricultural Practices (SA GAP) to enable market access. A one-country market profile for Kuwait was compiled. The primary objective of the study was to identify which products have the potential to be exported by South Africa (SA) to Kuwait and, secondly, to get an understanding of the Kuwait environment with a focus on trade. PPR testing for goat and sheep plague was done, with samples collected and tested across the Northern Cape, North West, Limpopo, Mpumalanga, Kwazulu Natal and Gauteng Provinces. All tests came out negative for PPR and the country is free from the disease. A total of 109 farmers across various provinces had been profiled to participate in the poultry scheme to improve productivity. 32 light delivery vehicles were procured for implementing the Primary Animal Health Care Programme. 124 veterinarian students have been notified of their allocated facilities and would be deployed to resource-poor communities to provide access to veterinary services. 872 animals have been quarantined for observation and tests were conducted for presence of diseases prior to release, or detained if non-compliance was found. Import inspections of both live and meat products were conducted and Red Cross permits issued. The rights registers for five fishing sectors were compiled. The final rights allocations were made for the netfish sector and a draft rights register for the newly allocated netfish sector was finalised. The Minister agreed to extend the receipting period for the Fishing Rights Application Process (FRAP) 2015/16 to allow applicants more time to submit their applications. A progress report on the conditioning of brood-stock was compiled. The conditioning of brood-stock was based on two new research studies, on genetics and nutrition for aquaculture species. Mr Mlengana spoke to some of the non-achievements. The progress report on the implementation of the approved Risk-based Annual Plan was not achieved because the internal audit would undergo a mandatory external Quality Assurance review during the 2016/17 financial years. Unfortunately, this impacted on the finalisation of the report. The outstanding reports are expected to be concluded by end of October 2016. Consultation was not done with affected stakeholders on Environmental Impact Assessments. The target requires that the affected stakeholders (potential growers in the Eastern Cape) be consulted. However, consultation was only done with SAPPI which is why this was regarded as non-achievement, since there was no proof that SAPPI represents all affected stakeholders. Confirmation has been requested from SAPPI that the affected growers are its strategic partners. The finalisation of misconduct cases has been delayed due to requests for postponements by employee representatives, as well as non-availability of accused employees, and witnesses. It was agreed there should be adherence to time frames by employee representatives, accused employees and witnesses. There have been delays in the HR Plan Implementation submission approval. The plan is to strengthen controls and adherence to deadlines. The induction and provision of internal training to the DAFF, Border Control Coordinating Committee, Border Control coordinators and crisis business units was not done due to lack of funding. Training is still to be conducted and every effort would be employed to find a solution. Mr Mlengana concluded that for the period under review the Department managed to achieve 69% of the set quarterly targets. However, the performance is expected to improve during the compilation of the Quarter 2 actual report, after the validation process has been concluded. Major contributors to the variance between the preliminary and the validated (actual) report included the fact that the long quality assurance process was mainly for transversal indicators. The misaligned reporting time frames for government frameworks such as the Division of Revenue Act, Presidential outcomes, Estimates of National Expenditure and Department of Planning, Monitoring and Evaluation reporting guidelines also contributed to the variation between information presented at different platforms about the same deliverables. Graphs and tables were shown to illustrate HR Dashboard; and expenditure per programme and economic classification (see attached presentation for details). Mr N Paulsen (EFF) remarked that the fishing rights allocations were a disaster under the previous Minister of DAFF. Rights were given only to MK military veterans who knew nothing about fisheries and who “could not differentiate between a fishing rod and an AK47”. He wanted to know what is being done now to empower ordinary community members. He further commented that children of farmers were benefiting still at the expense of the farm workers who were receiving little or no bonuses at the end of the year. He pointed out that the relationship between DAFF and Department of Rural Development and Land Reform (DRDLR) was non-existent, with nothing being said about it. He also wanted to know what is being done to help black farmers to participate in exports, since only 3% of farmers in the Western Cape are black. He also asked what is being done to change the pattern of land ownership. Mr Senzeni Zokwana, Minister of Agriculture, Forestry and Fisheries, said that the accusation of fishing rights allocations only to MK military veterans was unfounded. There was no evidence that this had happened. The DAFF work on the fishing allocations has been presented to the Committee many times, and it had been explained that the aim was to build the whole economy around fishing communities, rather than merely allocating fishing rights. and even what the Department has been doing on the fishing allocations. The aim has been to build economies around those communities rather than just giving people fishing rights, and reminded Members that a person had to have a vessel before getting a fishing rights allocation. He asked that if Mr Paulsen should provide the Department with evidence of any wrongful allocations of fishing rights to MK veterans. Mr Bheki Cele, Deputy Minister of Agriculture, Forestry and Fisheries, reminded Mr Paulsen that he was himself a trained military veteran who had spent time on Robben Island, and he felt disappointed at and thought it unacceptable to pass remarks to ridicule the MK veterans who had abandoned their families and country to fight for liberation of South Africa. Mr Paulsen said his statements were made purely in the context of fishing. The Chairperson indicated that Mr Paulsen should not provoke people and expect that they would not respond, and invited him to leave if he did not want to respect the meeting. Mr C Mathale (ANC) stated that it was not appropriate for Members to generalise and say that military veterans do not know the difference between a fishing rod and an AK47. The Minister noted that the aim of the Comprehensive Agricultural Support Programme (CASP) was to develop small-scale farmers to become commercial farmers. The DAFF had focused on the conditions of farm workers and had developed a programme that would run in conjunction with the Department of Labour and DRDLR. Legislation was being drafted. He said he knew about the conditions of farm workers around De Doorns, and suggested that if Mr Paulsen knew of any specific farmers who were in need of assistance with land reform and allocations he should provide names to the Department. Mr N Capa (ANC) asked the Department to reply in writing to the points that he was about to make. He asked the DAFF which universities were targeted for research and development programmes, from the grant of R1 031 000 given to the ARC. He pointed out that there were apparently three provinces where PPR disease samples were not collected and tested, and asked if the programme would be rolled out to them. Some Quarter 2 targets were not met, and this meant that Quarter 3 targets would surely need to change because of the carry-overs. Ms Z Jongbloed (DA) commented that the Department has set aside an extra figure for drought relief, but it was reported the money would go to small-scale farmers, so she needed confirmation on that. She asked if it was possible for the Committee and Department to engage deeply on forestry, because the Director-General indicated in his presentation that there was not enough focus on forestry. She asked why the list of those people allocated fishing rights included the names of employed teachers and civil servants, when it had been stated that the allocations would be awarded to traditional fishermen. She asked for more information on the shrimp consignment from India that, upon landing in South Africa, was found to be infected with cholera. She wanted to find out the role of DAFF in the development of harbours and whether rising sea levels had been factored into the calculations for developing harbours. The Minister said that the process of harbours was handled by the Department of Public Works (DPW), and DAFF only dealt with the administrative aspects. Scientists were involved in the project, and he would be grateful for more research input from any party. In relation to the shrimp consignment, he indicated that there were certain stringent rules to be followed for food imports, and he would follow up if he was given more information on these allegations. In relation to fishing rights, he confirmed that the traditional fishermen had now been given fishing rights and were provided with assistance when they needed it. Law enforcement agencies had harassed them in the past, because they didn’t have fishing rights. Mr Mlengana spoke to the additional budget for drought and informed the Committee that the current allocation was provincially based, on requests made by provinces to National Treasury. The Department had negotiated with commercial farmers, who were happy with the strategies and proposals from the Minister. In relation to Forestry, he said it was incorrect to think that the sector was not looked after, for it was involved in strategic planning and all divisions would, in due course, be advised on how the Department planned to take matters forward. The Deputy Minister added that South Africa had been invited to attend the Forest World Conference,where its delegates made a significant contribution, and had been highly praised. One challenge might be that not much had been communicated well to stakeholders. More still needed to be communicated about what had been covered. The Minister reiterated that forestry would never fail. He would shortly be paying a visit to rural areas, where he would be encouraging every household to plant two trees; one for shade and one for fruit; Limpopo was already doing this. The Minister also re-iterated that forestry would never fail. Soon he would be visiting rural areas to urge each and every household to plant two trees: one for shade and the other for fruit. Forestry requires a collective effort between government and the industry, and a Forestry Charter had been published by the DAFF to look at issues around afforestation, skills development and supply chain issues, amongst others. Various challenges were being resolved and there was positive engagement with communities for viable relationships and positive collaborations to deal with issues. 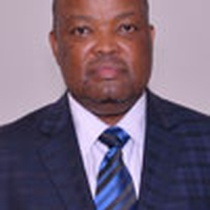 Mr C Mathale (ANC) wanted clarity on two issues: firstly, on the joint operations staged through the Operation Phakisa initiatives, and, secondly why the information on the 2 036 households supported through the food production initiative was not available, as well as the reasons for the information being inaccurate. The Minister spoke firstly to Operation Phakisa joint operations. 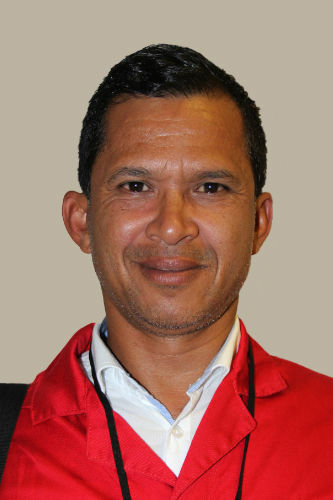 Coordination and collaboration with neighbouring countries along the Benguela Current coastline was encouraged because the countries shared the same stock. This joint venture was being run with Namibian input because it was understood that vessels are made to suit different fish species. Mr Joe Kgobokoe, Deputy Director-General: Policy, Planning, Monitoring & Evaluation, DAFF, explained the process for household verification. The Department does not release any information given to it, for public consumption, before going through various phases of a verification exercise. Before any work begins, an agreement must be entered into, and the service provider must explain how the work is going to be done, and what is going to be used to do it. Evidence must be provided, the Department starts the verification process, and this will take between 30 and 90 days, and may also involve site visits. Mr Paulsen asked how the Department was going to deal with the fact that 200 applications had been made from the Vrygrond fishing community, but only 25 were approved. He also remarked that the government was being bullied by “white monopolies in fishing” despite the fact that government is in control of state resources. He fails to understand why the fishermen, whom he repeated were MK veterans, could not take on these white monopolies. The Deputy Minister stated that various criteria had been worked out for communities living along the sea. He said that teachers were part of the communities living along the sea and he would not like to see the situation where such people would be regarded as not welcome in communities nor entitled to share. The Minister said the Department would investigate the issues raised by Ms Jongbloed and Mr Paulsen but they needed to provide concrete evidence for the Department to make the proper enquiries and improve on any areas needing attention. Mr Paulsen asked for clarity on the HR cases. The Minister replied that he would verify the status of the cases; they did take time to reach settlement. He said also that there was a need to find out how many cases the Department had won and lost, and how many were currently in the courts. Ms Jongbloed made it clear that she was not saying that she was opposed to former teachers getting fishing allocations and wanting to make a living out of fishing. However, she was concerned with the instances where current teachers or civil servants ,who were already earning a salary from the State, were then allocated fishing rights in addition, because she felt that priority in making those awards of rights should be given to traditional fishermen, or those who were not in other formal state employment. - The Preservation and Development of Agricultural Land Framework Bill currently being discussed at NEDLAC should be expedited, as there was a genuine concern that agricultural land would be taken over by mining concerns. This resulted in suggestions that farmers in Mpumalanga would need to move to Eastern Cape, but in Eastern Cape there was already mining exploration. - A report on what had happened to the money set aside for BCP's training.